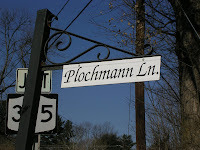 Plochmann Lane: New "Plochmann Lane" Myspace page. New "Plochmann Lane" Myspace page. A Mood I was In. Congrats to winners Levon Helm & Larry Campbell. Motown songwriter Norman Whitfield passes away. Levon Helm youtube video for Same Thing live. Levon Helm's Paramount Theater set list. Ollabelle's keyboardist / vocalist Glen Patscha. Ollabelle's guitarist / vocalist Fiona McBain. Ollabelle's drummer / vocalist Tony Leone. Ollabelle pics from Tunbridge (VT) Fair set. Levon Helm Stamford, CT set list.